Oculus VR is now trying to tap into a new market to boost the sales of its high-end virtual reality device. The company is now launching Oculus Business, effectively sweetening the deal for companies to snap up its Oculus Rift bundle. Oculus vice president Hugo Barra made the announcement of its business bundle during the Oculus Connect conference in San Jose, Tech Crunch reported. 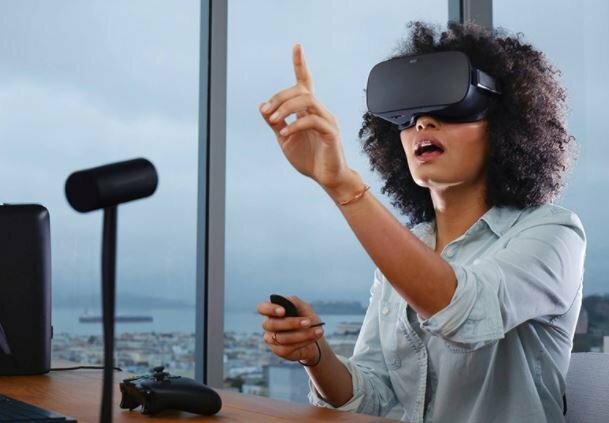 The Oculus for Business package costs $900 and includes the hardware package, dedicated customer support, full VR license and enterprise-grade warranties. The hardware package consists of the Oculus Rift headset, three room sensors, three Rift Fits and Oculus Touch Controllers, according to The Verge. Altogether, the hardware only costs $574, but the $900 price of the business bundle is still considered a great deal, given the warranty, commercial license and preferential customer support that go with it. While virtual reality is still a relatively new technology, businesses can harness its potential to improve their reach and exposure as well as streamline their operations. For instance, VR can be utilized to aid personnel training and even allow potential customers to examine products in great detail in the virtual world. In the future, VR could be indispensable to a host of industries such as construction, manufacturing, education, tourism, and health. In fact, the German automobile manufacturer Audi is one of the launch partners of the Oculus for Business. The carmaker harnessed VR to build virtual showrooms where potential buyers can configure a car and even walk around it to assist them in the selection and customization process. Aside from Oculus VR, other virtual technology manufacturers such as Apple have been pitching their VR hardware as a business tool. Admittedly, the market for VR gear among individuals is a bit limited, as the price of the gadgets is a bit too steep for the average consumer. In addition, setting up a VR rig inside a home also requires some expertise. Businesses, however, have bigger budgets and tech-savvy staff at their disposal which makes it easier for them to buy and install VR equipment.